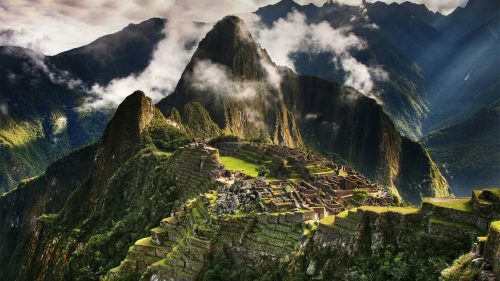 Interjet is showing flights that would allow you to fly from Vancouver to Lima, Peru - and then fly home from Bogota, Colombia - starting at $419 CAD roundtrip. You can also fly home from Medellin, Colombia instead, for about $30 more. 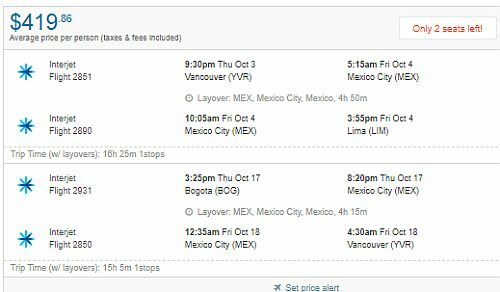 The flights have 1 stop each way, in Mexico City, for 4-5 hours. You can also find regular roundtrip flights to Bogota, Colombia and back, on the same dates, for the same price. 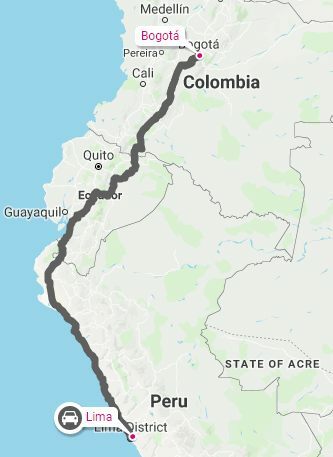 A flight between Peru and Colombia is not included.